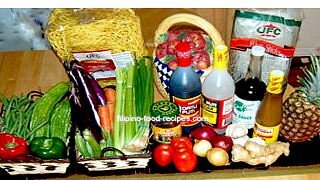 Looking for a Filipino Recipe? Need any Filipino recipe? If you are looking for authentic, everyday Pinoy food recipes or lutong Pinoy, then you have come to the right place. 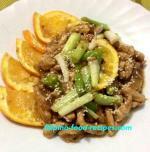 Welcome to Filipino Recipe Site! I want to share with you not just my collection of Filipino food recipes -- I intend to have so much more than our typical adobo, lumpia, chop suey, pancit, or the ever popular Filipino dessert leche flan recipes. Hi! This is the Filipino-Food-Recipes website. My name is Beng and I live in New Jersey. Though every other town here has a Filipino food store, I still am craving for my mom's kind of cooking, my kind of comfort food. I know most of us have gone a long way from cooking our traditional dishes. We have adapted with what's available where we live, and in the process improvised and added a much more exciting complexity and dimension to our flavors. Like any ethnic cuisine, it is essential to use authentic ingredients. You'll know it's Filipino cooking if you flavor with Fish Sauce (Patis) or Soy Sauce, Shrimp Paste (Bagoong) and Calamansi. Salt and Pepper just don't cut it. ... or if you are trying to impress (or scare?) and let out your quirky exotic food line-up of Balut, Oxtail, Tripe and Lengua. So if you have happened to come across this site, it is my guess that you are looking for some unique and exciting Filipino Recipes. Also, you will find my Tips and techniques along the way, you may choose to adapt or disregard them. My objective is to help you know the basics and understand why we do the things the way we do. One day, young Ana was watching her mother make a roast of beef. Her mom cuts off one end of the roast, ties it with a string and sets it in the roasting dish. Ana politely asked her mom why she had to cut off one end of the roast. After some thought, her mom replied. "well, that's the way Mother had always done it." The next time Ana went to see her grandma, she asked her why she always cuts off one end of the roast before setting it in the roasting dish. After some thought, her grandma replied, "well, that's the way Mother had always done it." Ana thought "there must be a secret family recipe there why they all cut off one end of the roast." Now, great-grandma was quite old and when Ana, her mom and grandma went to visit her, Ana asked her the very same question. Great-grandma looked at her a bit surprised and said, "Of course, dear! That's the only way the roast could ever fit in my roasting dish." Lastly, my only one request is that you PAY IT FORWARD -- share what you learn here to those who could use some help. As Zig Ziglar says "You will get all you want in life if you help enough other people get what they want." Let me now invite you into my kitchen to re-discover Filipino food, the way my mom has always taught me. "May He give you the desire of your heart and make all your plans succeed."